Posted on August 17, 2017 Author Moody GardensCategories Animals, Rainforest PyramidLeave a comment on Meet our new Friends in the Forest! Moody Gardens is taking you on a Jurassic adventure this summer when the Dinos Alive Exhibit comes to Galveston Island. This fun outdoors exhibit features life-like animatronic dinosaurs, including a full-size Tyrannosaurus, as you become part of a rescue team sent back in time to search for a missing plane and its crew. Along the way in the adventure, you get an up close and personal experience with some of the most feared and amazing creatures to ever roam Planet Earth. Discover treasures of your own as you explore an archeological dig site in the exhibit. In addition to the dig site, the attraction will include a gift shop and photo opportunity. Explore all things dinosaurs June 3-Aug. 13. Treat your mom like the queen she is with a day of pampering, fun, and time not spent in the kitchen, this Mother’s Day at Moody Gardens. Join us for two mouth-watering buffets at the Garden Restaurant and Moody Gardens Hotel. Feast on omelets made to order, Belgian waffles, hatch pepper crab cakes, red snapper, carved prime rib with rosemary jus and horseradish and more! And the best part? We do the dishes, too. Click here for the Garden Restaurant menu and here for the Moody Gardens Hotel menu. While you’re here, explore all that Moody Gardens has to offer. Journey through our Rainforest Pyramid where you’ll meet free-roaming monkeys and free-flighted birds. Take in more than 1,000 exotic plants from the rainforests of Asia, Africa and the Americas. You’ll also find an ocelot, komodo dragon and, if you look closely, a sloth or two. You can also set sail aboard the Colonel Paddlewheel Boat, be adventurous on our Ropes Course and Zip Line, relax in our MG 3D theater to watch a film or discover dinosaurs and set sail in Bikini Bottom at our Discovery Pyramid. Want to treat mom to a day of pampering? Be sure to check out the Moody Gardens Hotel spa packages online. Whether it’s a deep tissue or Swedish massage, pedicure, nourishing facial or manicure, you’ll find it all at the hotel spa. Journey to new depths to take in a unique tropical coral reef system found in Galveston’s front yard in the Gulf of Mexico, all without leaving dry land. Your voyage to the Flower Garden Banks is just around the corner as Moody Gardens reveals the new exhibit – and so much more – this summer as part of our $37 million enhancements to the Aquarium Pyramid. Explore this unique tropical coral reef system found 115 miles offshore from Galveston in the Gulf of Mexico. Moody Gardens partnered with the Flower Garden Banks National Marine Sanctuary to highlight this gem in our front yard and replicate the diversity in the reef systems of the East Flower Garden Bank, West Flower Garden Bank and Stetson Bank. See first-hand how Brain and Star coral dominate the reef system. Vibrant coral and sponges add pops of color deep underwater. Our exhibit also highlights Elkhorn and Staghorn coral. While not currently located in the banks, the sanctuary found that Staghorn Coral was once part of the reef system thousands of years ago. Some species of Star, Elkhorn and Staghorn coral are listed as threatened species on the endangered species list. These banks are some of the healthiest reef systems, thanks to being far removed from manmade pollutants. Nationwide, coral reefs are facing pressures from manmade pollutants. It’s been estimated that up to 70 percent of the corals in the Gulf of Mexico are in trouble. In addition to the Flower Garden Banks Exhibit, Moody Gardens is enhancing its touch tank in this area to give guests a fully immersive experience while crossing the air/water border. The tank showcases invertebrates including sea stars, hermit crabs and pencil urchins, all of which guests will be able to touch. Renovations will offer guests a spectacular aquarium experience including a new Gulf of Mexico Oil Rig Exhibit and Mangrove Exhibit. Moody Gardens will unveil enhancements made to the Aquarium Pyramid to the public with a grand reveal May 27. Travel from the Gulf of Mexico to the South Atlantic, the South Pacific and the North Pacific. Each ocean exhibit highlights different marine sanctuaries. We’re also adding jellyfish and tropical penguins at the Aquarium Pyramid, all ready for you to explore starting May 27, 2017! Explore a shipwreck replica of famed Galveston pirate Jean Lafitte’s, The Pride while immersing yourself in the vibrant coral ecosystem and marine life sanctuaries of the Caribbean, all while sharks, rays and a bounty of tropical fish swim overhead beginning Memorial Day weekend. A glimpse this week of the Caribbean Exhibit revealed The Pride, a 19th century rum-runner shipwreck replica, loosely based on the vessel sailed by Lafitte. Moody Gardens divers spent a total of 48.5 hours underwater of the course of two days, putting the massive puzzle pieces together to create the replica. Luckily, each piece was labeled and outlined in a corresponding manual, making the construction slightly easier. The Pride is just one of several enhancements to the Aquarium Pyramid, sure to give guests an unforgettable experience, all while learning just how important our oceans are and what they can do to take better care of them. Moody Gardens’ Caribbean Exhibit is one of the largest tropical marine exhibits in the country featuring sharks, snappers, eels and reel fish swimming overhead as you walk through the tunnel into the one million-gallon exhibit. The enhanced exhibit transports you to the Caribbean with breathtaking views of shallow and deep coral reefs, and the marine life that call them home. New artificial coral, along with additional marine life, will be added to the exhibit. You’re bound to have questions after seeing the improvements. Don’t worry. They’ll be answered thanks to new in-water presentations by Moody Gardens divers. You’ll now be able to communicate with exhibit divers to learn more about what they do and the marine life that makes up the Caribbean. Renovations will offer guests a spectacular aquarium experience including a new Gulf of Mexico Oil Rig Exhibit, Mangrove Exhibit, Caribbean Exhibit Touch Tank area and the new Flower Garden Banks Exhibit. Moody Gardens will unveil enhancements made to the Aquarium Pyramid to the public with a grand reveal May 27, just in time for Memorial Day weekend. The Aquarium Pyramid is currently closed as we finish the final wave of our renovation. But you don’t have to wait long to see all the wonders for yourself. Beginning Memorial Day weekend, you’ll not only be able to explore the Caribbean, but several other ocean habitats, all enhanced as part of the $37 million renovation project. Travel from the Gulf of Mexico to the South Atlantic, the South Pacific and the North Pacific. Each ocean exhibit highlights different marine sanctuaries. 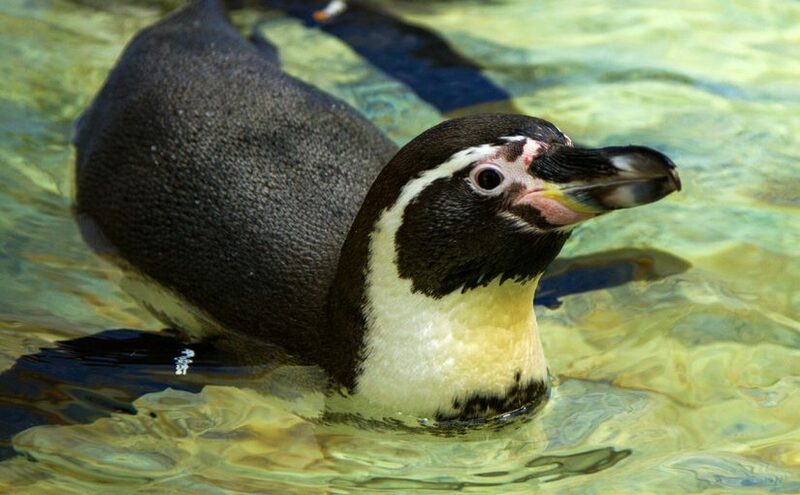 Moody Gardens is helping you keep a little green in your pocket this spring break with a great deal that saves you $20 on a Value Pass for a family of four when you purchase your tickets online. And, it’s simple. Just visit moodygardens.org and purchase your spring break tickets online. You’ll save $5 per person on your one-day or two-day Value Pass. Saving cash and skipping the ticket lines – what’s better than that? 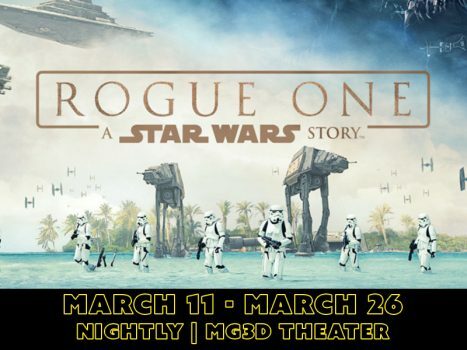 Star Wars fans will find the force is strong at Moody Gardens, as we feature “Rogue One: A Star Wars Story” nightly at 8 p.m. March 11-19 and at 5:10 p.m. March 20-26. 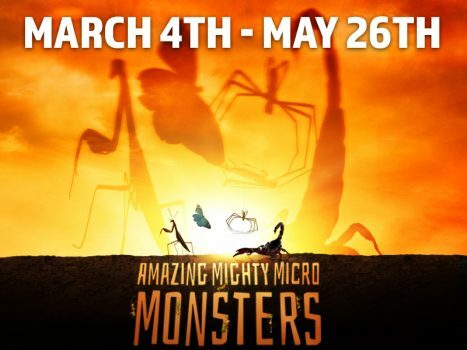 We’re also featuring “Amazing Mighty Micro Monsters 3D.” Beetles, spiders, scorpions and ants. These are Earth’s superheroes, living right beneath our feet. From shooting chemical fire to lifting massive weights and showcasing impressive crushing powers, these mighty micro monsters have abilities not often seen by the human eye. Until now. Check out both films on the world’s first 4K 3D Giant Screen 6 Primary Laser Projection System. That’s a lot of words to say it’s the largest movie screen in Texas that will give you the most vibrant, clear images you’ve ever seen. Don’t miss out on our Dinosaurs in Motion exhibit in the Discovery Pyramid. Using levers, pulleys and video game controllers, move the arms, legs, wings and heads of 14 life-size fully interactive dinosaurs made out of recycled metal. You can even make some of the artistic sculptures roar while you learn how dinosaurs once roamed the earth! Your tickets also get you into all of the fun at our Rainforest Pyramid, SpongeBob SubPants Adventure, 4D Theater, Colonel Paddlewheel boat, Ropes Course and Zip Line!